This little novel, Letter to My Daughter by George Bishop, is a little story with a large impact that will make you laugh and cry and even, sometimes, break your heart. Laura's daughter runs away and while waiting for her return, she reflects on the relationship she WANTED with her teen daughter, not the one she ended up having. She also explains her own years as a teen girl, coming of age during the Vietnam era, a teenager with racist parents yet who sent her to a Catholic school, about her first love, her first friends, her first heartbreak. It's a touching story, a quiet story. What a wonderful first novel, and with the voice of a woman, to a teen girl, author George Bishop surprisingly captures the female psyche perfectly. Anyone who's a parent should read this. 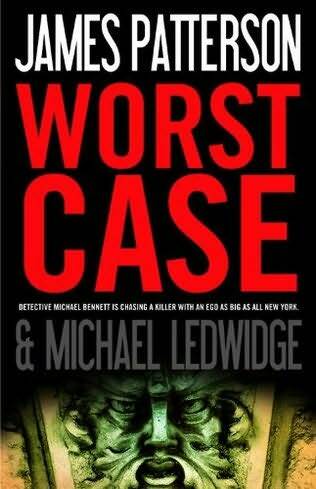 Worst Case by James Patterson is the third book in the Detective Mike Bennett series. 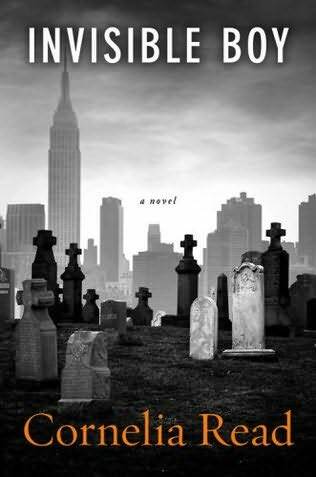 Bennett is a widower with 10 children, an Irish priest grandfather, an Irish nanny named Mary Catherine, and is a police detective in NYC. In this third outing, Patterson writes with Michael Ledwidge in typical Patterson style- quick thoughts, choppy sentences, and a fast paced mystery. I like Bennett, especially in this novel, as he hunts a kidnapper and killer of New York's wealthiest children, racing against time, also a popular devise in Patterson's writing. Also, readers are treated to possible romance between Mike and a feebie assigned to help with the case, and the home fires are burning a bit brighter as Mary Catherine finally lets Mike know that she, too, is interested. I'm a moderate fan of Patterson, usually on a lower level because I can read his stuff quickly, it's beach quality, and it's cotton candy for my brain. I really like the Mike Bennett series, though. Mike is a more developed and a round character. he also had a neat story line. I like his almost as much as I do the Alex Cross series! This is a good one; add Mike Bennett to your reading rotation! I don't get it. I just don't get it, and I didn't like it. I swear this is the year of "Books I Hate" because it doesn't seem there are many I'm enjoying, and I do apologize. 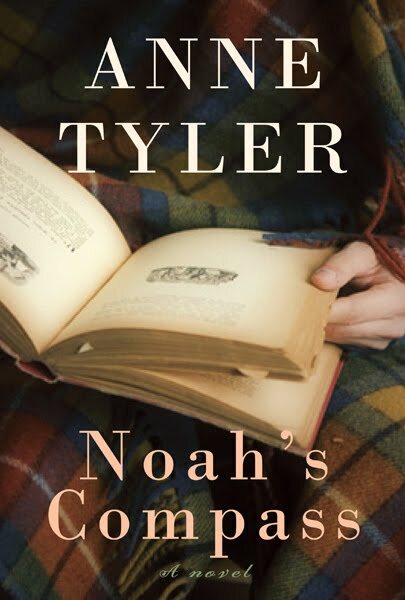 But we can add Noah's Compass by Anne Tyler to the list. In summary, the revolves around Liam Pennywell who gets "downsized" from his teaching job, which he was over qualified for since he is a philosopher, at age 60. He then decides to move into a smaller apartment. The day after he moves in, he awakens in the hospital with no memory of how he got there. He has three daughters to whom he is emotionally detached. He is twice divorced and he is just plodding through life, unassuming and socially inept. In his quest to regain his lost memory of his burglar experience, he meets another social outcast in Eunice, a quirky, and shy and a bit 'out there' woman. They become friends and then start sating and Liam thinks he's found someone with whom he can spend the rest of his life, however short, and maybe find some redemption as he discovers what a failure he was in his life. I realize Tyler writes in plain language with subtle humor but rather than finding her mismatched cast of characters quirky and fun or lovable, I just get frustrated. I find they're sad people, and rather depressing. 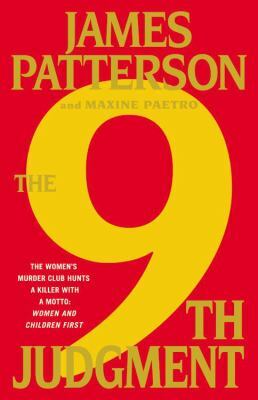 The 9th Judgment is the ninth book in the Women's Murder Club series written by James Patterson and Maxine Paetro. A cat burglar is stealing jewelry from the rich and famous and during a heist, a famous actress is killed, looking like the burglar shot her- but is that true? Meanwhile, a sicko serial killer is on the loose, killing innocent women AND children. Lindsey Boxer is working both cases, burning the candle at both ends trying to find the killers. Of course, the rest of the woman are there: Clare the ME who has to take care of the carnage, Yuki the attorney who plays a minor role in this novel, and Cindy, the reporter who is also in love with Lindsay's partner Rich. Personal twists and turns in the lives of the ladies as well as trying to catch a killer and a burglar all wrap together in this typical Patterson beach read mystery. It's Patterson, so it's not great literature, but it's a fast read, bit print, small words, and a quick story. If you can over look the choppy short dialogue and the poor quality character development, then by all means, take this out for a spin, for there's nothing wrong with a few hours of mindlessness! 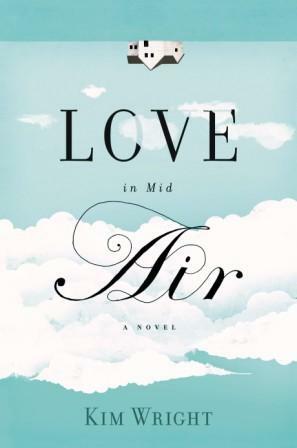 Love in Mid Air by Kim Wright was a dark sort of love story that follows a woman through her 10th year of marriage- a marriage to Phil the dentist who is cold, verbally abusive in a sarcastic way, but gee he's such a good provider. Elyse wants a divorce... she thinks. Then, while on a business trip, she meets Gerry and contemplates and then has an affair. She doesn't fall in love with Gerry but she knows, without a doubt, that she isn't in love with Phil anymore. And because she's a mom and a suburban housewife who makes play pots, drives the car pool, does book club with her rich women friends in her upper middle class neighborhood, and hosts fancy but casual Christmas parties, she isn't sure she can get a divorce because... well, it's just "not done." She also begs Phil to get counseling and he finally agrees, making an appointment to meet with their church minister who 1) is Phil's best friend; 2) has a crush on Elyse; and, 3) is the husband of Nancy, a bitchy jealous woman in Elyse's social circle of 'best friends.' Counseling doesn't go what one would call well. As I review this book, I realize how much I found distasteful with the novel, or at least with how much contempt I have for these characters, none of whom I like very well. Between the bitchy circle of girlfriends, her whining, her mean husband-- well, this wasn't a pleasant read. Not to mention, I found the ending completely unsatisfying. 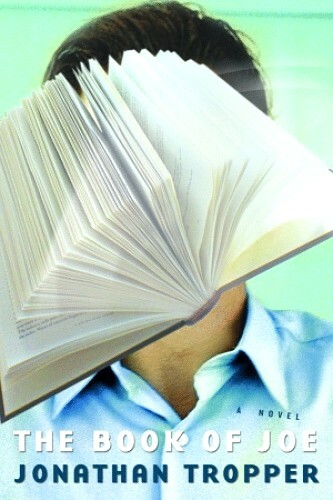 In Jonathan Tropper's novel The Book of Joe, Joe grows up in Bush Falls, graduates and leaves. He then goes on to write a 'fictional' best seller that trashes everyone in the town, and which is loosely based on true life events. But he doesn't care because, even though his father and brother still live in Falls, he doesn't return home... until 17 years later when his brother Brad calls to tell him their father is in a coma. Joe knows he has to come home. Upton his return, there is no welcome committee; quite the opposite. The local book club dots the yard (he's staying at his childhood home) with copies of his book which are thrown as they drive by, he's pelted with a milkshake, gets in a bar fist fight and is arrested. And that's his first day back at the Falls. Not to mention he's still in love with his high school sweetheart, his high school best friend is dying, his sister-in-law hates him, a local thug wants him dead, and the local sheriff is gunning for him. Oh yeah, and his father is dying. And if you're wondering if his little homecoming can get much worse.... well, yeah it can. And it does. I love and adore author Jonathan Tropper's dark humor ( loved This is Where I leave You!). He take such dark situations and gives them a comedic spin. Sometimes sad and heartwarming, but mostly just funny. It's Christmas time in Pecan Springs, Texas which finds China and Ruby and the gang gearing up for traditional Christmas doings, along with some dead bodies in the newest mystery Holly Blues. China's husband McQuaid is still teaching and PI-ing when his ex-wife Sally comes to town bringing nothing but trouble, as usual. With her comes lots of lies and China and Ruby set out to find the truth. Turns out that McQuaid is working on a case and Team China/ Ruby are also at work and the information they find compliment each other, rather than causing problems (which is typical when China and amateur wannabe-a-private-detective Ruby get in on the case solving actions). We have the usual gang of suspects: Blackie the Sheriff and Smart Cookie the Chief of Police. Brain, China's step-son, and her adopted daughter Caitlin play small roles in this novel, as do the staff of Thyme and Seasons, and other business partner Cass. This is the 18th book in the China Bayles series and I've read them all. I try to read this objectively and figure if it could be a stand alone novel and I'm not sure. 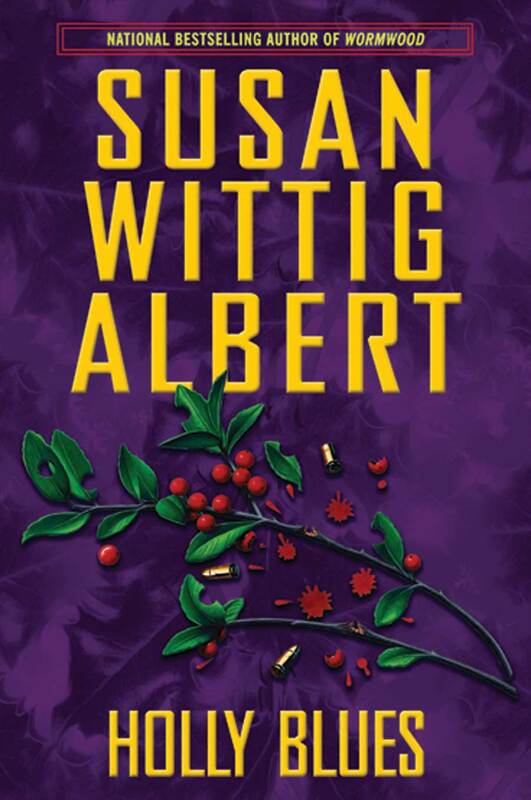 Author Susan Wittig Albert writes this novel from the first person narrative voice of China, who gives a brief "get to know me" synopsis at the beginning of the story, so I think while anyone could pick the book up and enjoy the quick paced mystery, I think a reader who hasn't followed the majority of the story lines will be missing out on some good stuff. I've enjoyed the China series for years and I always look forward to a new one. While I don't think Albert's writing style is always up par of her past novels, I do like the books. One thing that always makes me laugh is the references Albert makes to other mystery characters like author Sue Grafton's Kinsey Millhone; to me, this is cute and funny, but probably because I read that series too, so I get the 'inside joke'. I also love that the characters keep growing and evolving. I love the bits and pieces about herbs at the beginning of every chapter; that probably my favorite part of every novel. Ruby is usually my favorite character- with her wacky ways and new age-ness. I also want to point out that Albert has a fabulous web site, Abouthyme. The addition to yummy recipes at the end of the books since the characters have opened a tea room business is also a delightful feature of this series. This is a wonderful series and if you're a person looking for a fun, new set of books to read and enjoy "mystery lite", then try China Bayles. 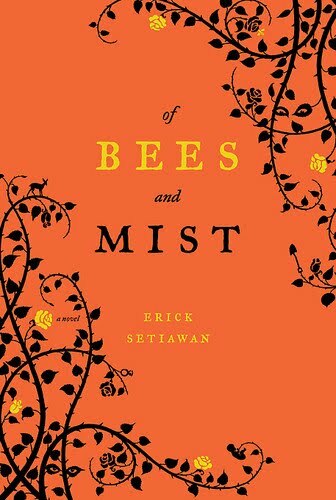 Erick Setiawan's debut novel Of Bees and Mist has love lost and then found, fortune tellers, magic mists, ghosts, seers, and lots of unexplained oddities in a mythical land, not unlike a small town somewhere near you. Meridia is a little girl who is raised in a house with mists and ghosts, a hateful father and a confused mother. She plays with the ghosts and chases the mists and is raised my nannies. She attends school but has no friends. Then one day, when a festival comes to town, she meets the man of her dreams. For a girl who's been raised in a home with no lover and an inordinate amount of hate, she loves Daniel, and soon marries the charming and beguiling young man. She moves from the homes of her family, hoping to leave behind the mists and the ghosts, into the home of Daniel's family. At once she is taken with her new mother-in-law, Eva, and two sisters, eager to please and desperately wanting to experience a total family. But her mother-in-law is a new sort of evil, full of lying and conniving, bring on bees when the vitriol spews from her mouth. Meridia needs to become strong, and does, to stand up to her mother-in-law and to find her own way in the world. And she does find that she can make friends and be a mother, that she has a head for business and she can run a household, and stand against the evil Eva, and the supernatural that surrounds her. This novel spans over 30 years and the magic flows through the nameless town where Meridia lives, revealing all sorts of secrets. It's like a modern day ghost story with fiction and fantasy blended together. I rather enjoyed this novel. I've never really been one to read fantasy so I wasn't sure what to expect from the genre. I had been told that is was like a modern day ghost story, which I didn't find to be true at all. I liked just going with the flow of the story. Setiawan writes with rich, colorful words, and boundless energy. I could feel the retain of Meridia and the personalities of the mists. I was impressed with the entire story and the twists and turns. And as I always seem to notice and enjoy, a strong and likable female character in Meridia. This was a pleasure to read, lush in imagery, making it a veritable feast of a novel. I read it, I read it, I read it!!! I loved it, I loved it, I loved it!! I mentioned how much of a fan I was of Ms. Cornelia Read? 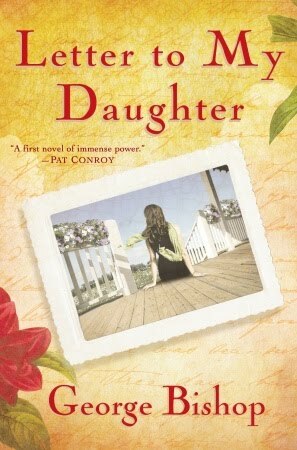 Well, I am thrilled to say this novel was wonderful! Madeline Dare is back and better than ever in this third outing, Invisible Boy, by wonderful author Cornelia Read. Madeline and her cutie husband Dean have now reclaimed NYC, even if it is in a crummy sublet walk -up with her sister and a family friend, Sue. She's officially left upstate New York behind and can be back among the land of the living again. Or so she thinks... she meets a distant relative and they agree to do a clean up project of a family cemetery. And while cleaning they stumble across the remains of a 3 year old boy who had obviously been abused in his short lifetime. As Madeline tries to stay away from the case, of which too many factors keep pulling her in, she is also rekindling a friendship from the past: Astrid, a prep school friend. Astrid with her wealthy and ares, and her rich husband Christoph seems to leave Madeline even more unsettled. Add the money problems, her mother's "news", her re-settling into the city, Dean's new & stressful job, and the revelation of a tragic family secret, Madeline is fraught with stress. As the mystery of the dead boy is revealed, Madeline becomes involved in solving the mystery. In a great courtroom scene, all the details are woven together; but will justice prevail, and really, what is justice in this case? This is a brilliant novel. I am a huge fan of Read; she is a smart author. I feel, as a reader, she caters to me, a person with a brain. Her word choices and metaphors are dazzling and as often I found myself laughing out loud with the characters, I also found myself thinking: thank you to Read for challenging me while entertaining me! I also love Madeline. She is a smart woman who doesn't take herself seriously. I like how she knows she's from 'old money' but rather than write from the upper crust perspective, she's more of a debutante turned poor- and she seems happy with it. Her wit is razor sharp, sarcasm is as necessary as air, and she has a clever view of what it was like to be a WASP-I love her voice! This was a well told story, much more than just a mystery. I appreciate the look into the minds of the characters, and how real they were. This was also more than just a mystery. Rather than a cursory glance at the people involved and a focus on the whodunit, read paints a detailed picture of all involved, with high polish on their emotions. This book, to me, was all about the characters. Loved this story! I recommend it, as well as the previous two Madeline Dare novels, A Field of Darkness and The Crazy School. 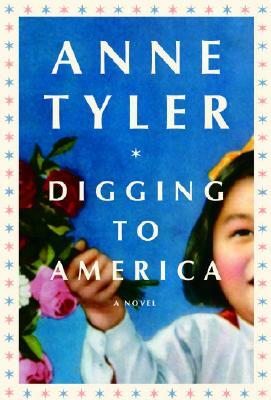 I read Anne Tyler's Digging to America and sometimes I liked it and other times I didn't. When I got to the end, I couldn't decide if, overall, I liked this novel or not. I still can't decide. The worst part of all, I can't place my finger on what specifically caused my dismay. Bitsy and Brad Donaldson, an older Hippie couple in their 40s, and Sami and Ziba Yazdan, a young American couple from Iran, both adopt baby girls from Korea. They didn't know each other before the adoption and they met at the airport when their babies were delivered to them. But the day they receive their daughter is also a day when a new friendship starts to develop. A new friendship that is, at times, a bit off putting and awkward, but a friendship of sorts, nonetheless. Sami's mother, Maryam, is the primary voice of this narrative. She has carefully made sure she keeps her "outsiderness" even though she came from Iran about 40 years ago. She is the only babysitter for her granddaughter and she loves her. But she is often confused by the ways of her young son and his wife, who embrace their American culture. The Donaldson's are completely American, loud, opinionated, bossy, and they make Maryam's "Iraniness" every more obvious. And throw in Bitsy's widowed father, Dave, who develop a crush on Maryam and tries to court her, and falls in love with her, she must realize who she is- is she going to be an Iranian or an American? Can she have both? This novel takes place over the course of 7 years, each year being highlighted by an annual Arrival Party, an idea of Bitsy, to try and preserve the memories of the girls first day in the US. As the babies get older, the party seems to lose momentum but Bitsy does her best to try and hold it together, often comically. Though the novel's story tell perspective changes among the central characters, Maryam is the central story teller is is really at the heart of the story, which is sometimes humours and often poignant. I guess, as I read my review, it sounds like I did enjoy the story. The record is not good! At this time last year, I had read a grand total of 42 books. This year you can see the number is a paltry 26. I've only read 26 books!!! I'd like to say it's because this year I've been reading some deep and serious things and last year I read all cotton candy for my brain but that's not true. I know that last year at this time I was just substitute teaching so I could read basically all day and this year I'm in classes with kids and "working" each period... I'm sure that has a lot to do with it. It must. I have to believe that. And since I've moved back to the Midwest, and I'm home with friends and family, AND I'm back in Civilization, I'm out doing more now than I was then. I hadn't been home long this time last year and was still getting my bearings. I also am doing other things than just reading: sewing, spending time with friends and family, blogging, emailing, and school related teacher stuff. But still- 26 compared to 42? I feel like I'm lacking. What a bum I've become. Shame on me! But I look at my Goodreads list and see all the things I want to read and I look at the calendar and see only 21 more school days until summer vacation, so things are bound to balance out, right?